Hawaii Kai was originally designed as the first community in the state and is typically a bedroom community. Being an upscale neighborhood, it houses around 30,000 residents and features a tranquil ambiance too. 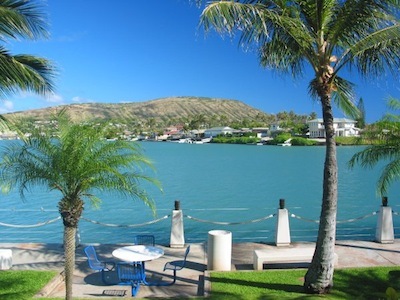 Hawaii Kai is a unique community as it is the only one, which can have a boat dock along with the home itself. You might have a misconception that there would be several communities designed like this, but the truth is, it's the only community with this feature. For this reason, properties here command a more expensive price tag. It is essentially an upscale community – even the average prices here are also higher as compared to other places in Hawaii. There are many homes, which are built with their own marina lot – a real treat for any boat enthusiast. The marina allows overlooking sights from almost any restaurant you can find in town. Other fabulous waterfront homes have their own dock. These types of properties can be found in Kuapa Isle, The Peninsula, Spinnaker Isle, West Marina and Anchorage areas. Hawaii Kai with its own marina lot usually have a price tag of $600k for a townhouse, while bigger homes can easily set you back around $5 million. There are also several beachfront and oceanfront properties in the area. Besides its upscale waterfront estates, it is also well known for its hillside homes, which feature picturesque ocean and marina views. 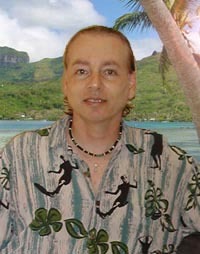 Other similar places include Kamiloiki, Na Pali Haweo, Mariner’s Ridge, Hahaione Valley and Kamehame Ridge. However, some real estate properties in this area may charge you an additional $100k just to get a photographic view of the ocean. Great selections of properties are also available just along the street from Sandy Beach. There are homes in Laulima and Queens Gate, which are in close proximity to premier golf courses – these properties have a true essence of luxury. You get the best of both worlds here – the spectacular views of the ocean, as well as the luxurious ambiance of a golf course neighborhood. A few kilometers beyond this area will take you to the Kalama Valley – a tranquil neighborhood despite having around a thousand homes. On the average, Hawaii Kai real estate can have a price tag of around $850,000. Condominiums are no exceptions as well, with commanding prices starting at $400,000. In my opinion, these types of homes are truly worth it once you consider the tranquility and type of ambiance that this neighborhood has to offer. Here, outdoor living is simply astonishing. You will usually wake up catching a glimpse of the morning sun, and notice groups of people heading off to the beach for water sport activities such as kayaking and surfing. Why Hawaii Investments are a safe bet? Listing courtesy of Pinnacle Management Group LLC.